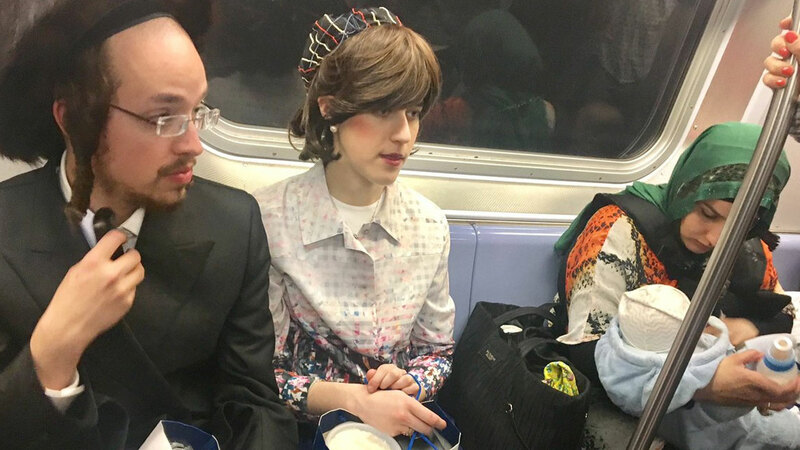 NEW YORK (WABC) -- It may be a typical sight for veteran subway riders, but this photo of a Hasidic couple and Muslim woman taken by a Taoist man is getting viral attention on the Internet. Brooklyn resident Jackie Summers, a self-described Taoist, captured this moment while riding an F train on April 16, Easter Sunday. According to this Facebook post, Summers gave up his seat on the subway so the Hasidic couple could sit together. Then, the couple scooted over to give a Muslim woman enough room to nurse her baby comfortably. "This is my America: people letting people be people," Summers wrote. The photo, exemplifying inclusion and kindness, has more than 38,000 shares on Facebook and 4,500 retweets on Twitter.